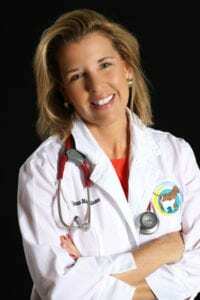 Dr. Dickson has lived with exotic animals since she was born, joining a household that already had an Amazon parrot and a Newfoundland dog. She later added more birds and reptiles to the family! Over the years, she got to see the changes in the way we feed and care for these animals to keep our birds and reptiles healthier than ever. She moved frequently as a child, spending time in California, Delaware, and Tennessee. She was a Girl Scout for 11 years, earning her Silver Award as well as all the badges related to animals and the environment. She also volunteered at both the local animal shelter and a local veterinary clinic when she was in high school. She earned her Bachelor’s of Science in Biology from the University of North Carolina Asheville, while volunteering at Charlotte Street Animal Hospital and working at the Highsmith student union. After graduation, she enrolled in Parkland College in Champaign, Illinois and earned her Associates in Applied Sciences in Veterinary Technology to be a Certified Veterinary Technician. Realizing that she loved school and wanted to learn more, she then enrolled in the University of Illinois’ College of Veterinary Medicine and graduated with honors. During her time there, she was a Team Leader at the Wildlife Medical Clinic where she directed a team of students in the triage, care, and release of injured Illinois native wildlife. Her team helped her realize that she loves teaching, and enjoys sharing her knowledge with interested students! 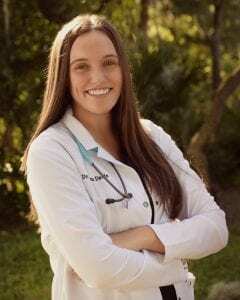 Dr. Dickson moved to Florida to join the My Pet’s team right after her graduation from vet school! So far she is loving the warmth, the wildlife, and the water. At home, Dr. Dickson shares her time with three snakes and a cockatiel as well as her partner in crime! She enjoys birdwatching, cycling, comic books, indie PC games, and attending comic book conventions. 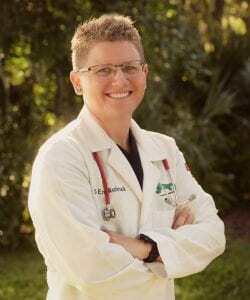 She is a member of the American Veterinary Medical Association, Florida Veterinary Medical Association, Ridge Veterinary Medical Association, Association of Reptilian and Amphibian Veterinarians, and Association of Avian Veterinarians. She has a special interest in wildlife medicine and cares for injured wildlife that are brought to us by members of the public. She also enjoys helping people care for their pets, and will happily share tips and tricks to help your pet live their best life!